Besides doubling the number of seats held in this election, PR’s great success lies in reducing BN’s popular vote from 63% in 2006 to the current paltry 55%. Based on the results of this state election, it is forecasted that at least 10 parliamentary seats will fall to PR in the next General Election. In Kidurong (Bintulu), DAP incumbent Chiew Chin Sing won by a large majority despite the constituency comprising only 52.5% Chinese voters. This shows the level of Iban support for DAP as well in the semi-urban constituencies of Meradong, Dudong and Batu Kawah. The increased level of Iban support shows that DAP is moving beyond Chinese support and is increasingly being accepted by all races. Secondly, money politics is no longer able to ensure victory in every case. SUPP’s campaign demonstrated an ignorant policy of ‘business as usual’ and assumed they would continue to have a monopoly on Sarawak. Against insurmountable odds, DAP managed to defeat several ‘Goliaths’ in several areas such as SUPP president George Chan and tycoon Tiong Thai King. This victory belongs to the people. Across the board of urban and rural areas, results point to the people’s rejection of money politics. Despite digging deep into their coffers, BN did not manage to buy a thumping victory as DAP won 12 out of 19 of the seats it contested. Thirdly, Taib’s power is waning. His falling influence can be surmised from the secretive manner in which he was hurriedly sworn in the middle of the night immediately after the election victory was declared. The enduring question remains: will BN fulfil its promise of letting Taib go? BN is stuck between a rock and a hard place. If Taib remains at the helm, BN may lose more seats during the General Election. Will the election be held before or after Taib leaves? Things changed after Hishamuddin’s keris-raising incident during the 2005 UMNO General Assembly, which endorsed the resurgence of the Malay agenda and the call for the reinvigorated implementation of the New Economic Policy. This caused alarm in the Chinese community and marked the beginning of the decline in Chinese support for BN. Post 2005, the entire discourse turned very much racial. Although BN claims that it does not need to rely on the minority vote, history has proved otherwise. Najib’s 1 Malaysia is meant to appease this racialised discourse, but it is a mere smokescreen for the same tired approach. The economy as it stands today does not produce real growth and is artificially propped up by a strong public sector. Growth is channeled from sectors that do not generate much employment. The rakyat suffer. The economy is unable to grow, leading to inflation and an ever-widening divide between the rich and the poor. 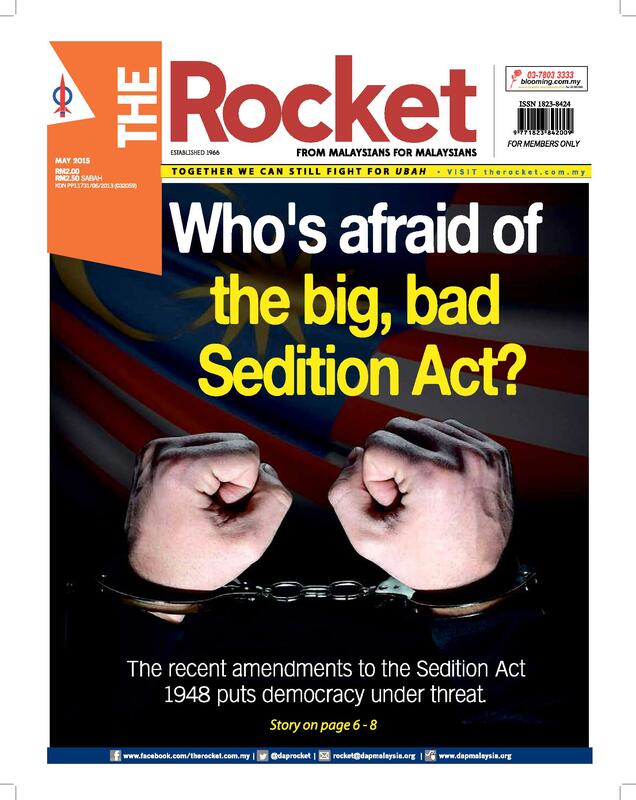 The slogan may have changed, but the status quo has not changed, except to say that the rakyat are in a far worse position today. The evolution of DAP campaigning methods and the increasingly important role of young people can be perceived from the recently concluded Sarawak state election. In the past decade or so, a shift can be detected in DAP’s campaigning methods. The party’s attempts to be more people-friendly have led to the rise of female candidates, popular use of modern posters, party mascots like the Rocket Kid and Ubah, t-shirts and other memorabilia. There was a discernable ‘concert-type’ atmosphere in the DAP campaign which won the hearts of young people. Culturally relevant songs such as “Change”, and “I Believe” captured the imagination of the younger generation. By engaging the young people at the prime of their lives, it is a golden opportunity to grab their loyalty for life. Females and young people are two demographics where BN is not strongly able to attract their support. BN’s use of outsourced advertising agencies to run its campaign advertisements has also proven to be an Achilles heel as the outsourced agencies were off the mark as far as popular public sentiment is concerned. This resulted in a campaign that was disjointed and with no coherent theme between candidates in different areas. During this recent Sarawak election, each SUPP candidate seemed to be running his own personal campaign. Even with their deep pockets, the BN campaign was unable to achieve the same level of genuine public popularity as the DAP’s campaign. 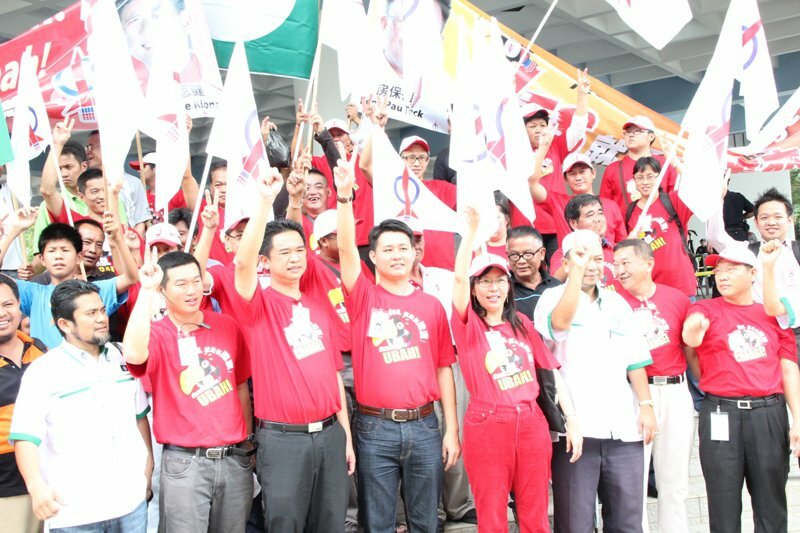 Instead of hiring one-off consultants for the campaign, DAP relied on in-house and home grown talents – often very young – who work alongside party workers year in, year out. With this DAP was able to run a successful media and public relations campaign that was much more coordinated, consistent and unified in purpose and approach. This article was written by admin on Saturday, May 14, 2011 at 12:18 pm. You can follow any responses to this entry through the RSS feed. Both comments and pings are currently closed.